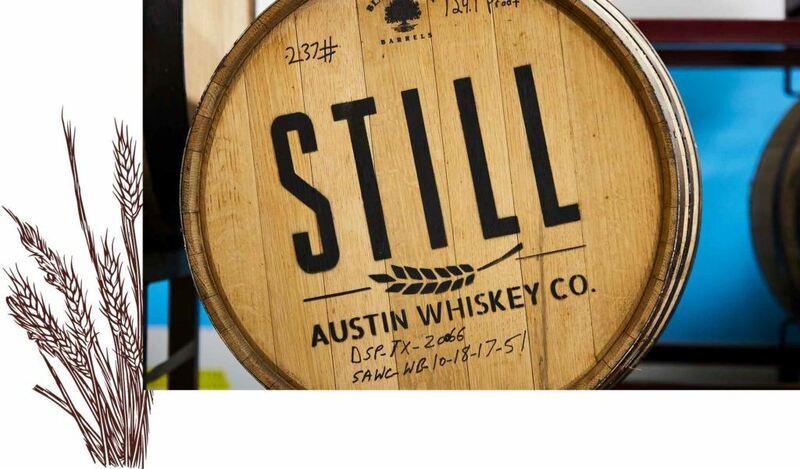 Still Austin Bourbon Whiskey - Still Austin Whiskey Co.
On May 11th, we’ll unveil our first Bourbon to the world. To craft our Bourbon Whiskey, we’ve incorporated the Abruzzi and Brassetto rye varieties along with Elbon. To infuse the spirits with a sense of home, we distill with the same white corn you’ll find in Austin’s tortillas. And to protect these flavors, we do everything in-house, from grain to glass and the élevage process. The result? A friendly bourbon, a confident bourbon, a bourbon with creativity and integrity. This is true bourbon whiskey, made the Austin way. 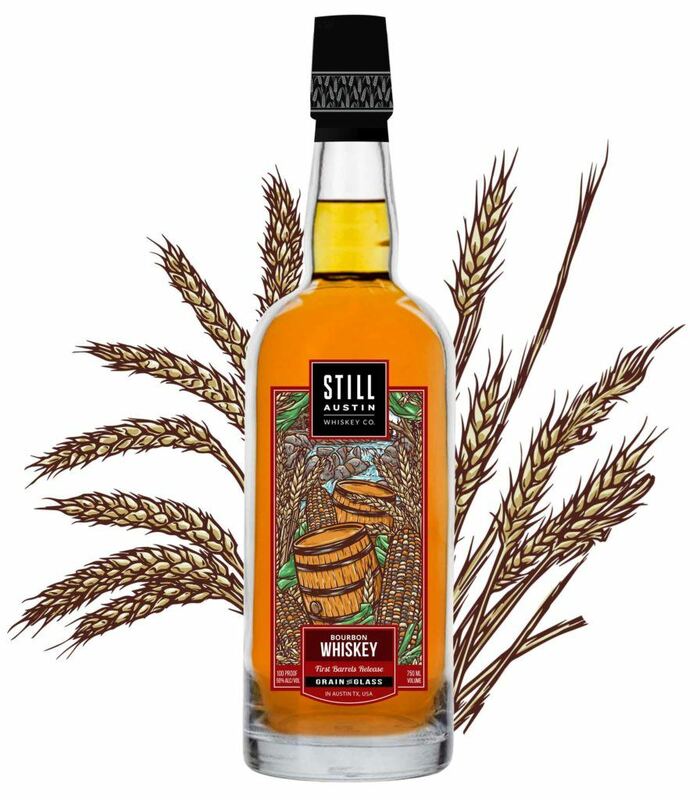 70% Non-GMO white corn, 25% rye and 5% malted barley. We “raise” our barrels from birth to maturity, using a labor-intensive philosophy known as élevage, which weds the bourbon to our local climate while maintaining the spirit’s connection to its original grains. Focusing on flavor and balance, the meticulous practice of élevage uses a slow-water reduction technique to extract flavors from charred oak. While the barrels endure the wild swings of Texas weather, we add a little water each month to bring more "mature" notes, like vanilla and caramel to the forefront. As of now, due to the meticulous process required to distill and mature our Bourbon, once released this Spring this spirit will only be available in our tasting room and at a very few select stores, bars and restaurants throughout the Austin area. Don't worry, we have plans to launch nationally—because why should the rest of the country be locked out of heaven? Native Austinite Josh Row got into graphic design at a young age, when he fell in love with the illustrations on his skateboard decks. These days, he’s focused on creating innovative designs and painting murals for his independent venture, Showgoat Mural Works. When he’s not designing murals and whiskey labels, Josh serves as co-owner and design director for No-Comply skate shop in Austin.